Please remember: A pledge is a promise to give but does not tell us how you will give. 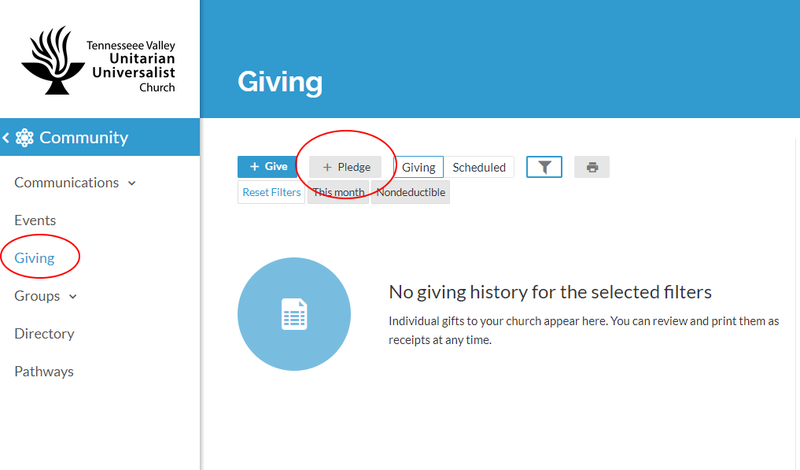 You can use any method of payment (cash, check, credit card, etc) to fulfill your pledge but please consider following the instructions to Schedule a Recurring Gift Online to set up a method of payment through Realm (if you haven’t already). This makes life much simpler for the finance team. 🙂 Thank you!